Upgrade XL Bench - Vasa Trainer - Vasa Ergometer | Vasa Inc. If you are purchasing a new Vasa Trainer or Vasa Swim Ergometer now, consider upgrading to this longer, wider bench now and save $$. *Please note: This bench is only intended for Vasa machine purchases. 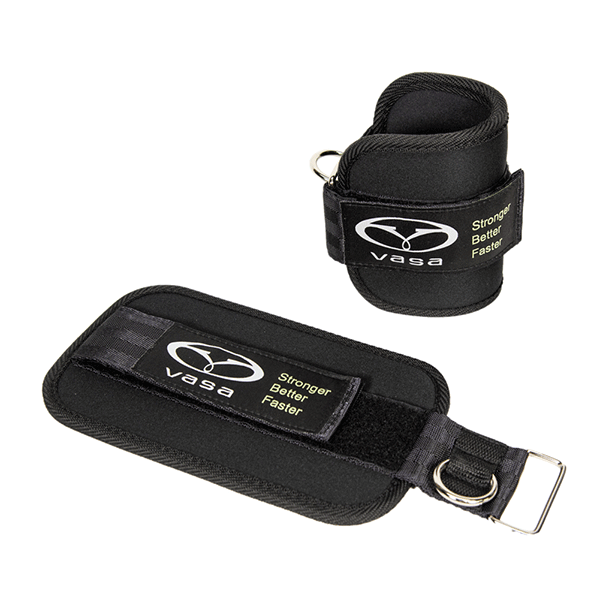 If you are purchasing a replacement bench for your existing Vasa machine, this option is available as a REPLACEMENT PART – Click here for details. 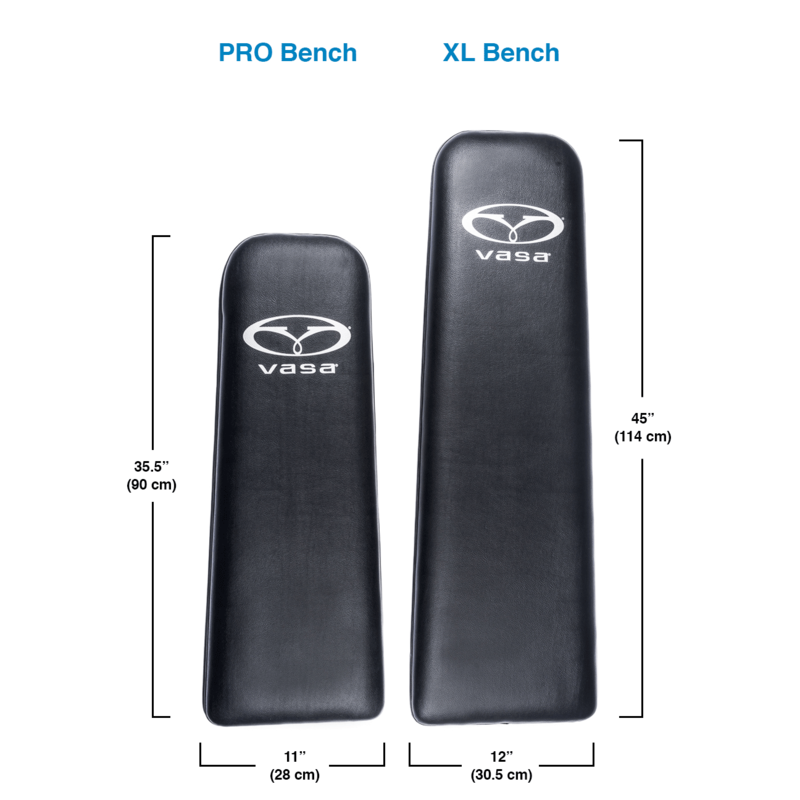 Vasa benches are tapered at the front and wider at the base. The taper allows greater range of motion for exercises requiring a prone position, such as Freestyle or Butterfly swimming. The front sides of the bench can be squeezed between the knees for stability when performing exercises in the front facing seated position. The wider base at the back end of the bench provides greater stability for exercises done from a prone position, such as Freestyle swimming. It also allows swimmers to have a better connection in the hip/core region to generate proper mechanics. 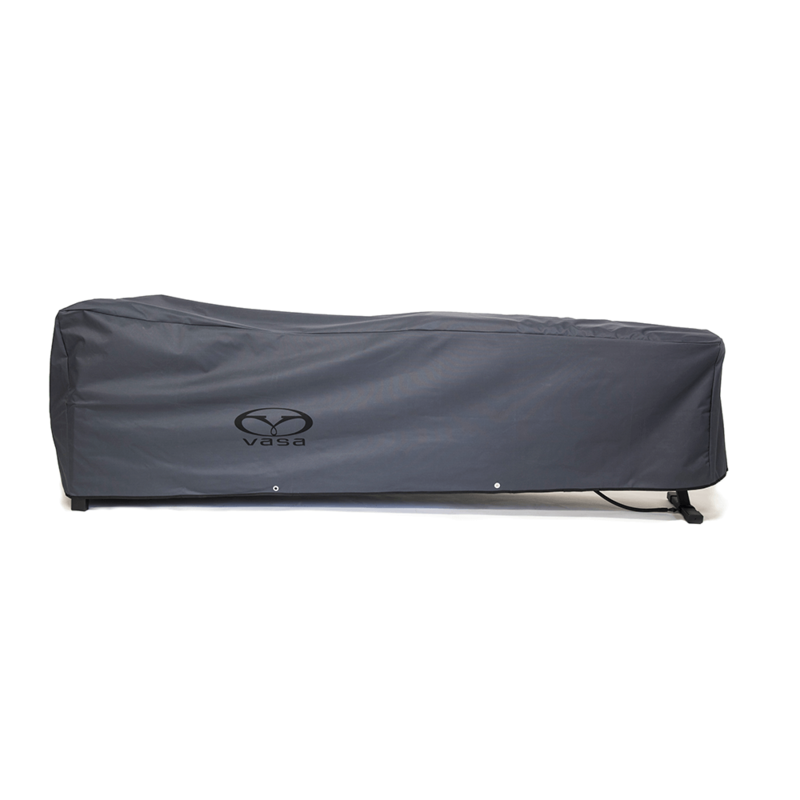 All Vasa benches are constructed with durable marine grade plywood and professionally upholstered with premium marine grade vinyl covering thick foam padding, making it comfortable and team-tested tough. The XL bench is ideal for those who want more stability from a longer, wider surface. The XL bench also has two Aluminum stiffener rails that mount between the rolling seat carriage and the underside of the padded bench. These are deigned to provide significant added strength. It is ideal for taller and / or heavier athletes. It is the best choice for Physical Therapy, Sports medicine clinics, Health Clubs, and teams with taller athletes. It is sized to fit most athletes for individuals taller than 6 feet (183 cm) in height and weighing over 200 lbs. (91 kg). The XL Bench measures 45″ long (114 cm) and spreads 12″ (30.5 cm) wide at the front and 15″ (38 cm) wide at the base. Thickness is 2” (5 cm).